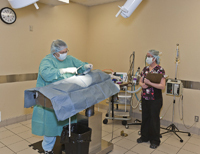 We offer the most advanced surgical techniques and technology to keep pets healthy and save lives. 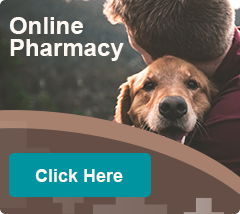 All patients are carefully screened for safety, and our anesthetics are specifically tailored to meet your pet’s needs. Surgical services and facilities include: board certified surgeon available for consultation; fully trained veterinary and technical staff to ensure the safest, most efficient, state-of-the-art procedures for your pet; heated surgery tables for greater comfort; advanced sterilization techniques; ECG and oxygen saturation monitors; intensive after surgery care, and full blood testing. West Flamingo Animal Hospital and Veterinary Surgical Specialists of Las Vegas are proud to announce the arrival of Dr. Kerry Bilicki. She is a board certified surgeon with years of experience and an immense passion for her work. Dr. Bilicki graduated from veterinary school at the University of Georgia in 2004. She got her start in general practice at Gentle Doctor and South Shores right here in Las Vegas. During that time she discovered that her real love was surgery and began a surgical internship with Dr. Davyd Pelsue in Reno, NV. She completed a surgical residency at Kansas State University in 2009 and became a Diplomat of American College of Veterinary Surgeons in February of 2010. After completing her residency she worked in Chattanooga, TN where she developed the surgery department at an emergency and referral hospital. Dr. Bilicki’s surgery focus includes small animal orthopedic, soft tissue, and neurosurgery with a special interest in portosystemic shunts and biliary surgery. Having traveled around the world in a military family and having been a military wife she is used to change and adapting to new surroundings. Thankfully for us this last move has brought Dr. Bilicki back to Las Vegas.